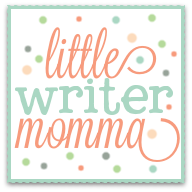 Little Writer Momma: Ignore the Mess and Invite Them Anyway! Ignore the Mess and Invite Them Anyway! We recently had some very new friends over for dinner, on a whim, and as it turns out we all had a great time! The kids played well together and the conversation flowed freely. The pizza was overdone, but it didn't really matter because when you're trying to feed five kids at the same time and then scarf down some food before the next request by one of the little people, you hardly notice such details. All in all, I'd say it was a success. 1.) I don't invite people over super duper often, mostly because my house always feels like a super duper big mess. 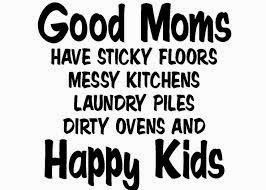 I feel like this is one of the big conundrums of this season of life with small children-- we would like to connect more frequently with friends, old and new, but it requires the effort of cleaning while the kids are continually messing and sometimes it all feels completely impossible, if not just a wee bit overwhelming. 2.) In addition to #1 I've concluded that the gift of hospitality is not in my top 5 naturally instinctive gifts. I always enjoy it after the fact, but it can tend to cause me a great deal of stress beforehand. What do people drink? What do they eat? What will they think of our chipped, 10 year old plates that we received as a shower gift? Where will they sit? Our house isn't designed for entertaining! I know. Blah, blah, blah, blah. I agree. I'm working on getting over my silly self. Which is why, on impulse, I extended an invitation to a family from church who is relatively new to the area, who have kids of similar ages to our own and live in a town just a few miles away from us. This momma and I met at a church event on a Monday night and next thing you know I was inviting her over for dinner, via Facebook, by Wednesday. Who says social media is a bad thing?! Sounds great! So crazy that you're inviting perfect strangers over to your house for dinner, but we're grateful, glad it worked our and looking forward to it! Lol! Haha! You can always figure church people are pretty safe! (: See you then! Even though she has two boys and we have three girls, the kids were virtually best friends by the time the evening was over. Their older son and our two older girls bonded instantaneously over their love for all things related to the movie Frozen. Scott and her husband share a strong love of music and so besides talking about it themselves, they had four of the kids down in our basement (You are a friend forever if you've seen my basement and STILL like us) singing along with the Frozen soundtrack via You Tube videos. 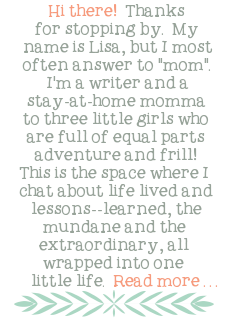 She and I chatted about typical mommy things. You know, namely, the challenge to find time to...well, do anything. 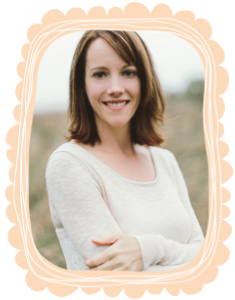 In our specific cases we both have a desire to write in some capacity and so it was fun to chat about how we try to recover the intellectual side of our brains in hour and half segments when we finally get out of the house to do some writing. Or, how, when I finally get out of the house to work on a piece of writing I stare blankly at my computer screen for long periods of time and fear that the intellectual side of my brain is shutting down forever. Sigh. We'll save that story for another day! All that said, if the evening was going to be crazy with kid stuff one way or the other (and dinner almost always feels a little bit like a circus at our house!) why not let it be crazy with friends, right? I had intended to make homemade pizzas, but opted to order them a couple hours beforehand when I realized Scott was going to be home precariously close to the time our guests would arrive. I was having heart palpitations over visions of myself breastfeeding a baby on the couch with flour all over my hands and face and a half kneaded pizza dough on the counter when everyone arrived. I also had no intentions of anyone venturing down into our basement...to see the cluttered abyss of baby stuff and Christmas stuff and Scott's work stuff and music stuff and the laundry all in one swirling, twirling, haphazard display. Oh, but alas...that is where the men and the children somehow ended up. It's kind of funny...and ironic actually. 1. It's going to be o.k. Happy Frozen Birthday Princess Ella!